-. Rings of Stone. New York: Ticknor & Fields, 1979. Merlin Archetypal WIZARD of Arthurian lore. Merlin is a Latinized version of the Welsh Myrddin. His exact origins are lost in myth; he may have been a god, perhaps a version of Mabon or Maponos, the British Apollo, the divine ruler or guardian of Britain. The name Merlin may have been given to a succession of wizards. There is no concrete evidence, but it is likely that a Merlin, who was a prophet or a bard, existed toward the end of the fifth century and has become the basis for the Merlin myths. Merlin's first appearance in literature occurs in the Latin works of Geoffrey of Monmouth, a 12th-century Welsh cleric. The Prophecies of Merlin, written in the early 1130s, comprise verses of prophecies made by an alleged man of the fifth century, named Merlin. 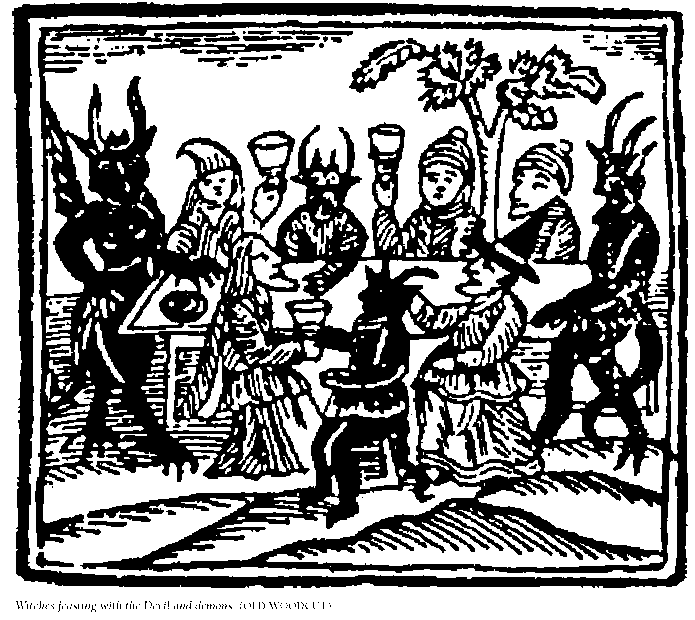 Monmouth made up many of the prophecies, which stretched beyond the 12th century. In the History of the Kings of Britain, which Monmouth finished around 1135-36 and which laid the foundation for the Arthurian legends, Merlin becomes a character, though Monmouth muddles chronology by placing him in both the fifth and sixth centuries. He is a magical boy, born of a union between a mortal woman and a spirit (a daemon, which later Christian writers interpreted as the DEVIL). He has great magical powers of prophecy and matures quickly. Merlin uses MAGIC to bring great stones from Ireland to the Salisbury Plain for the building of STONEHENGE and arranges for King Uther Pendragon to seduce Ygerna, who bears the infant Arthur. At that point, Arthur vanishes from Monmouth's story. 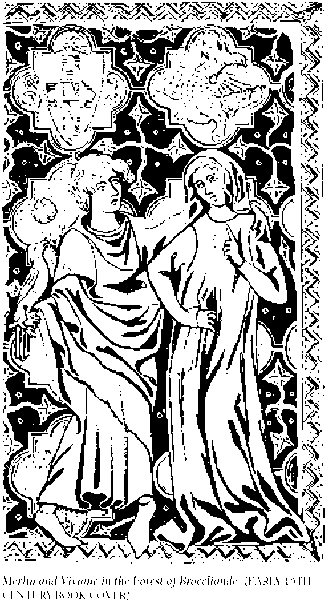 He reappears in a third poetic work, The Life of Merlin, in which he has a sister, Ganieda, who also has prophetic vision. Vita Merlini, written by Monmouth around 1150, is a biography of the adult Merlin, but it is also a text of Western magical and spiritual enlightenment. It sets down oral lore of mythology, cosmography, cosmology, natural history, psychology and what are now called archetypes of the human personality. comes from Sir Thomas Malory's Le Morte d'Arthur, published in 1485, a romantic tale in which the infant Arthur is raised by Merlin. Upon the death of Uther Pendragon, Merlin presents the youth Arthur to the knights of the land and has him prove he is heir to the throne by withdrawing the sword Excalibur from the stone in which it is imbedded. Merlin serves as Arthur's magical adviser but disappears from the story early in Arthur's reign. He is brought down by his passion for Nimue, or Viviane, a damsel of the lake who tricks him into revealing the secret of constructing a magical tower of air, which she uses to imprison him. In contemporary fiction, Merlin usually is presented as a wise old man, despite his youthfulness in early writings. It may be said that he has three aspects: youth, the mature prophet and the wise elder. He has been subject to many interpretations: magician, mystic, shaman, lord of the earth and animals, seer of all things, embodiment of time and trickster. He appears in the form of Mr. Spock of Star Trek and Obi Wan Kenobe of Star Wars.